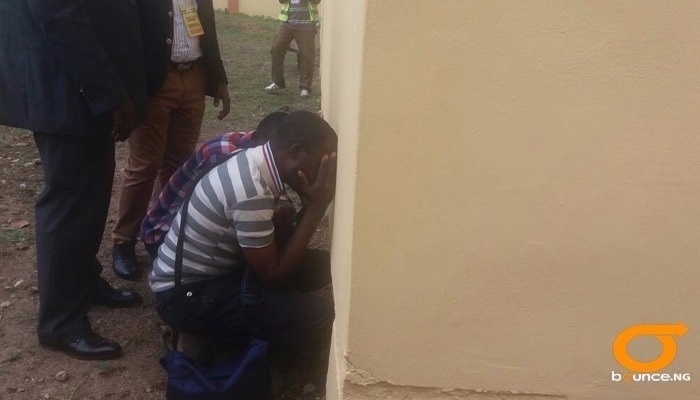 two suspects trying to destroy election result arrested. The Independent National Electoral Commission (INEC) has clarified the controversy surrounding the election result of Ayedaade Local Government Area. 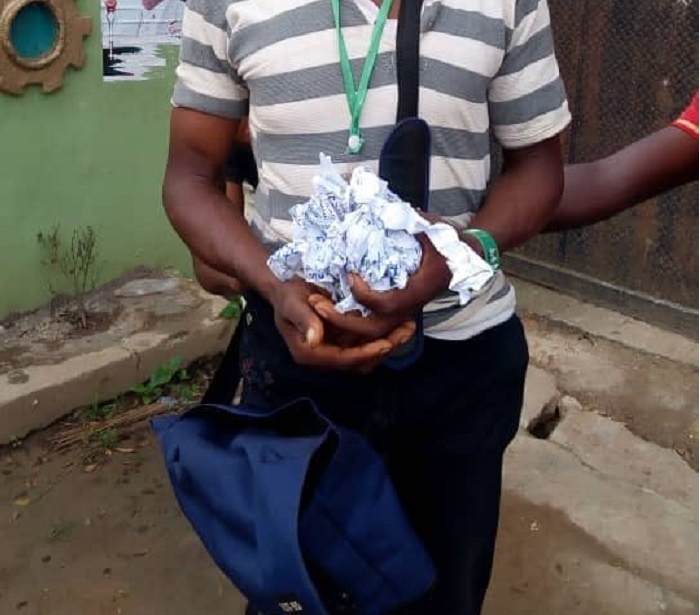 Addressing a press conference, Olusegun Agbaje, the Resident Electoral Commissioner in Osun State, insisted that the result sheet destroyed by Mutiu Salawu, the electoral officer for Ayedaade, contained the wrong figure. According to Agbaje, "The electoral officer for Ayedaade LGA, Aderinoye Olukemi Alice, on the information she received from the Local Government Security Chief (LGSC) that there was an error on the Form EC 60 (E) INEC Publication of Result of Poll Poster, pasted at the Local Government Collation Centre, i.e. St. Patrick Grammar School, Gbongan and after crosschecking the result sheet for the collation EC 8C to confirm the information, called her staff Mutiu Salawu, to remove the pasted EC 80 (E) poster with error and replace with correct one. "Mutiu Salawu, being a dutiful staffer, went to carry out the lawful instruction of his boss when he was accosted by a mob that manhandled him." The statement went ahead to give an extended breakdown of the results, which noted that the Peoples Democratic Party (PDP) polled 9,836 votes instead of the mistakenly-recorded 10,836 votes. The commission also expressed its displeasure with the press for the "repeated broadcast of the event maliciously without proper investigation". "Let me at this juncture put the record straight and inform the good people of Osun State and Nigerians, the correct position of the event: When the matter was raised by Dele Adeleke the PDP Agent at the State Collation Centre, the original copies of the results sheets EC 8A, EC 8B and EC 8C for Ayedaade LGA were examined and found to be the correct reflection of the conduct of the Governorship election in Ayedaade LGA, as reported by the LGA Collation Officer, Prof. Ayotunde Adeagbo from the Federal University of Technology Akure, FUTA. The Correct Collated Result from Ayedaade LGA for the Election is as follows: Party; A =007 AA= 008 ABP= 019 ACD =055 ACPN =037 AD =022 ADC =145 ADP =1,654 AGA =027 AGAP =009 ANRP= 034 APA =128 APC =10,861 APGA =023 APP =037 BNPP= 001 C4C= 004 DA =006 DPC =056 DPP =030 FJP =010 GDPN =007 GPN =004 HDP =011 KOWA =010. Others are; LP =008 MMN =002 MPN =006 NCP =016 NEPP= 004 NNPP =007 NPC =016 PANDEL =007 PDP 9,836 PPA =139 PPC =045 PPN =027 PRP =020 PT =025 RP =023 SDP =2,967 SNP =066 SPN =012 UPN =042 UPP =011 YDP =009 YPP= 005." The REC said, Collation Officer Prof. Adeagbo accepted the fact that there was an error in the EC 60 (E) pasted at the LGA Collation Centre especially the figure (10,836) recorded for PDP on the poster which is different from the actual votes scored (9,836) by the PDP. It should be noted that the INEC staff, Salawu, Mutiu Kolawole did not destroy the Result Sheet for the said election for they are intact in the custody of the commission and copies of same are with agents of the 48 Political Parties that contested the Governorship Election.